Butterball is responsible for 20 percent of the 252 million turkeys killed each year in the United States. This Butterball turkey hatchery alone processes more than 300,000 baby turkeys per week. A new investigation by Mercy For Animals has once again uncovered horrific cruelty to animals at Butterball — the world’s largest producer of turkey meat. 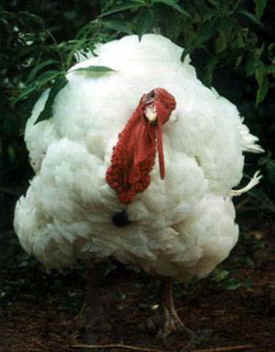 Butterball is responsible for 20 percent of the 252 million turkeys killed each year in the United States. This Butterball turkey hatchery alone processes more than 300,000 baby turkeys per week. Mercy For Animals has turned over its evidence to local law enforcement, which is currently considering criminal animal cruelty charges. News of this shocking investigation broke nationally yesterday evening on Univision’s leading news program, Primer Impacto, reaching nearly 2 million viewers. Our 2011 investigation caught Butterball workers kicking and stomping on turkeys, and bashing in their heads with metal pipes. That investigation led to a raid of the Butterball facility by state law enforcement officials and felony and misdemeanor animal cruelty convictions against five Butterball workers, including the first-ever felony cruelty to animals conviction related to factory-farmed poultry in U.S. history. Less than a year later, Mercy For Animals recorded nearly identical abuses at several more Butterball facilities. On top of all of this horrific violence, Butterball's turkeys endure selective breeding to grow so large, so quickly, that many of them suffer from painful bone defects, hip joint lesions, crippling foot and leg deformities, and fatal heart attacks.